It’s just normal that first-time parents (specially moms) would go great lengths for their children to have the best childhood ever. That includes making sure that their kids will have yearly gifts from Santa Claus and treats from Tooth Fairy. And my son is no exception. When he was younger, I took great lengths to make Santa as believable as possible. Totally believed that he would even defend Santa’s existence to his classmates. I always thought I am a clever parent. 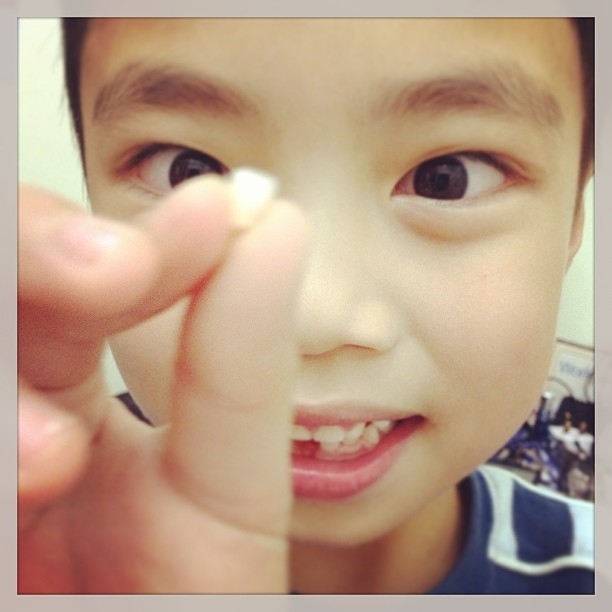 When he lost his first tooth, Tooth Fairy wrote to him that he should be brushing his own teeth. And Cole, who at 5 years old prefers to have his teeth brushed by someone else, started brushing with no complains. 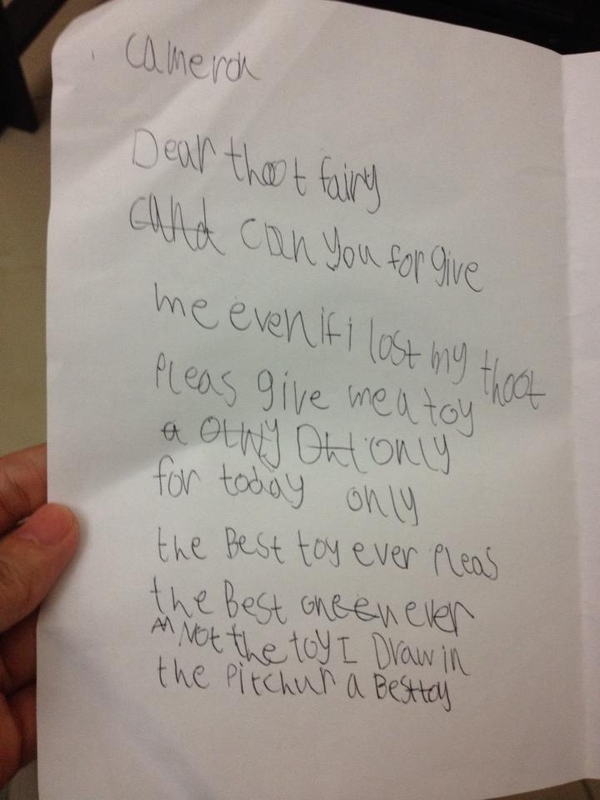 He even wrote a letter to Tooth Fairy when he lost his tooth in school. 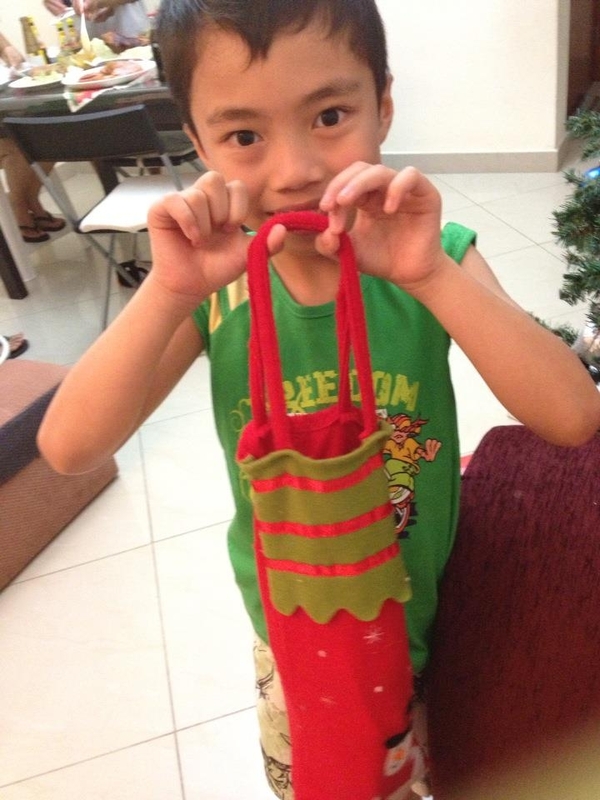 So for like 2 times in a year or more, Tooth Fairy would come visit our house and gave him sweets and toys. He is happy. Mommy is happy. It’s the same thing with Santa Claus. Cole would write to Santa, hang it on our Christmas Tree, and would excitedly wait for Christmas to arrive. He would sometimes beg us to sleep early on Christmas Eve because Santa might not pass by if he saw us wide awake. You know that some experts would argue that we shouldn’t be deceiving our kids and instead tell them the reality that Santa and Tooth Fairy are not real. They say that kids will be ‘psychologically’ damaged because their parents, the one whom they can trust the most, are deceiving them. These kids will have ‘trust issues’ with their parents. And views on this topic differ. Reading some forums, majority of parents would let their kids experience the magic of make-believe. Although some would be honest with their kids and tell them early that they are not real. But don’t like to go into that discussion. And the end of the day, it’s what feels right for your family. Cole: You know mommy, Rashid said that Santa is not real. He said that it’s just you and daddy. Same with tooth fairy. Cole: But I told him they are real, because where did the gifts come from? You and dad were sleeping. They are real, right mom? Me: (bubble thought – OMG! OMG! OMG!) YES! They are real. It’s not me or your dad. Santa Claus and Tooth Fairy only shows up if you believe in them. Since your friends don’t believe, they don’t received anything from them. And then a very long talk about ‘my experience’ with Santa and Tooth Fairy started. Cole will asked me questions on what gifts I got as a kid from Santa and Tooth Fairy, if Santa would visit the Philippines, how can Tooth Fairy come inside our room, how can she managed to place the gift under his pillow without him waking up – all boils down to one thing…. MAGIC! I honestly felt a knot in my stomach during all these talks. Look at my son, he is almost 9 years old yet still very innocent and cute. Even though all his classmates and friends tell him that Tooth Fairy and Santa Claus are not real, he still believe my word that they exist. That’s when I start to wonder, are the ‘experts’ right that I am damaging him? Will he have trust issues once he learned that I am lying all these years? When he asked that dreaded question of their existence, for a split second, I thought of telling him the truth. But I can’t just fathom how disappointed he will be when he finds out. And he might think I am big old liar! So I just continued with the make-believe. Then a few weeks ago, my daughter started having wobbly tooth. And she’s so excited that tooth fairy is coming. Exactly the same feeling that her brother had 5 years ago. Cole is also very excited for her. And the knots in my stomach came back. I know that it’s time for Cole to know the truth. But the dreaded question is HOW? How can I tell without him hating me? I read that some children burst into tears when they were told the truth. One adult even shared his story that he felt so stupid when he learned that Santa is not real at the age of 10. And he hated his parents for lying to him. Oh my gosh, I will die if Cole tells me I’m a LIAR. So I planned, planned and planned. I read various advices from parents on how to do the dirty deed. And with that knowledge on hand, I faced my greatest fear – tell Cole that Santa Claus and Tooth Fairy are not real. I had the real-talk with Cole the day his sister lost her milk tooth 1 month ago. I thought this is the best opportunity to execute my plan. My husband started building the anticipation by telling Cole that mom (me) has some good news for him. As soon as I reached home from work that night, I over excitedly and animatedly started the conversation. We locked ourselves inside our room since I told him we will talk about something secret. Me: Cole, I have some very exciting news for you!!! Me: You know that Biel lost her tooth, right? Me: I’m sooooo excited because that means you are now promoted. Me: Since Biel already lost her milk tooth, it means that you are big enough to be promoted as her tooth fairy. At this point, my heart was pounding so quickly that I think my voice was cracking and I might burst crying if he starts to get upset. Cole: What do you mean? I will be her tooth fairy? Me: (still very excited) YES!!! I’m so happy for you. You are now really a big boy! Cole: You mean Tooth Fairy is not real? Me: Well, it’s real if you believe, right? Cole: So are you the one who left gifts under my pillow? Me: YES! I am the one assigned to you. Some kids have their siblings assigned to them, or grandparents, or aunties. You got me! Cole: So Santa is not real too? Me: There is a saint called St. Nicholas who is considered as Father Christmas, and he is real. And it’s the parents who give gifts to their kids on behalf of Father Christmas. Cole was a silent for a good 1 minute. I understand that this is something that’s no very easy to digest. Me: You know, I bought some treats for Biel and it’s now your responsibility to put it under her pillow when she’s asleep. It should be top secret. You think you can do that task? Me: Cole, do you still want to receive gifts from Santa Claus? We can still pretend, right? Cole: (with a huge smile) YES!!! And that’s how the discussion ended. Cole successfully managed to leave the treats under his sister’s pillow and he saw Biel’s reaction when she saw the gift the following day. He was also smiling from ear to ear too. Thinking about it now, I am relieved that it’s over. Honestly, it was already tiring to prepare the gifts and going great lengths to make everything believable. I am even thinking not to start the same tradition with Biel. Spare ourselves with the trouble. But my husband said it is unfair for Biel not to experience the magic of Tooth Fairy and Santa Claus that her brother used to enjoy. And I think he is correct. Although I know that now, if ever she asked, I will tell her straight that it’s mom, dad and kuya Cole who love her so much and serve as her Fairy Godmothers and Santa Claus. Have you had the same discussion with your kids? How did it go? This entry was posted in Family and tagged Dubai blogger, filipina expat, filipino expat, Pinoy Blogger, Pinoy in Dubai. ← What if they don’t get you? For some reasons, he already figured it out early in life.